The tide was going out as we had arrived around 4:30pm, so the water was quite low. Fortunately, it was also less crowded, even if there were dozens of other boats in the bay itself. Our tour guide called us all back to the boat, and when we got back across the path, the water had receded significantly there too. 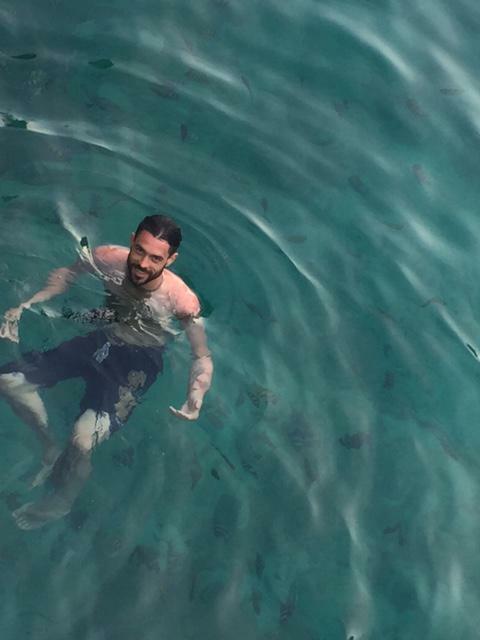 When we jumped into the water to swim back to the boat, we were surrounded by hundreds of colorful fish! 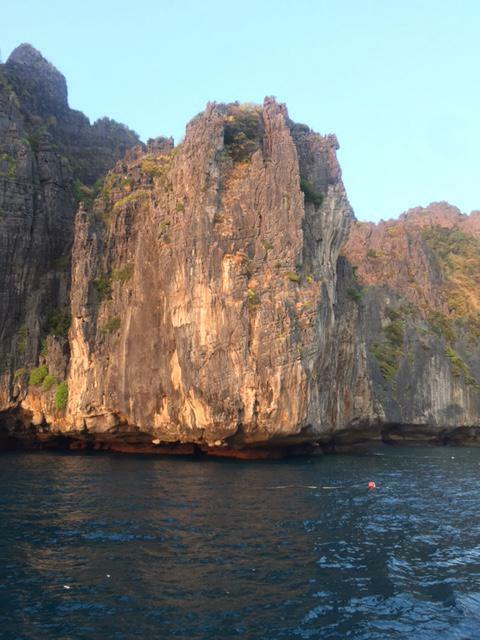 Then, our boat rounded the bottom part of Phi Phi Lee, and took us to the mouth of Maya Bay. When we got to the mouth of the bay, LL and I made our 3rd (quick!) kayak trip under a massive extension of rock. It was super choppy because the water was swelling up against and through the openings under the rock, but we made it. Exhilarating! On the trip back to Phi Phi Don, the sunset was magnificent. Take a peek. Tune in tomorrow for the city of Phuket and back to Bangkok.